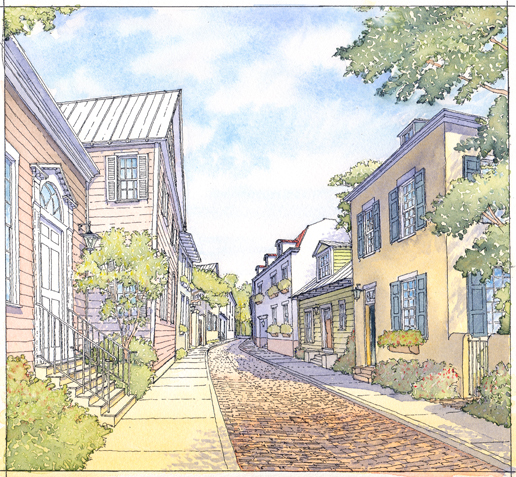 The Limehouse property is situated six miles southwest of the Historic District in the Town of Summerville, SC, an area that has been subject to explosive growth –and sprawl– over the past decade. 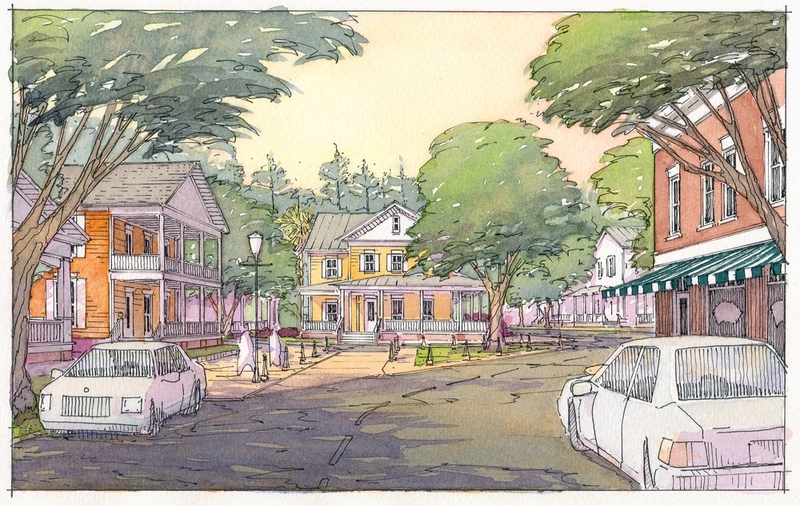 Brentwood Homes, owner of the Limehouse tract, recognized the long-term environmental, fiscal, and economic value of developing the land with smart growth principles in mind. 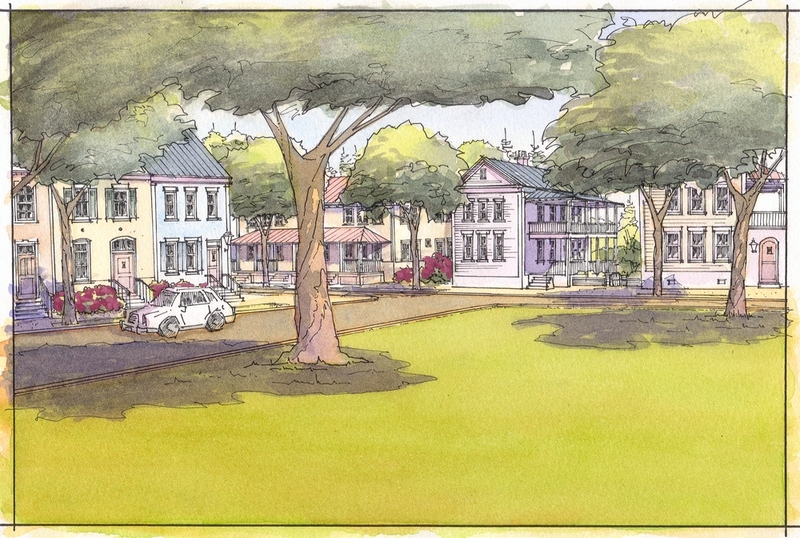 In 2006, they set out to create a plan for a sustainable, walkable neighborhood that offers a mix of uses, civic spaces, and dwelling types. 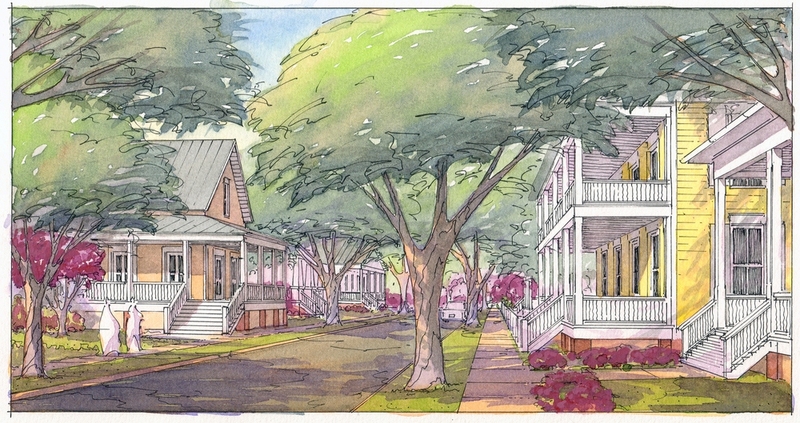 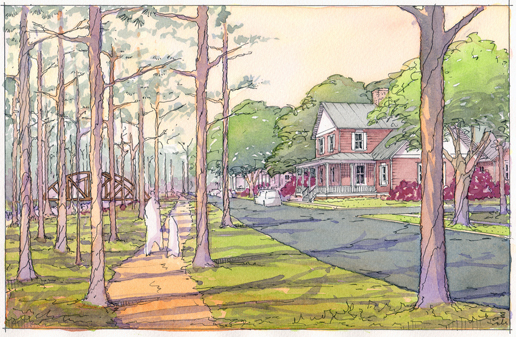 Based on the same planning elements and architectural styles found in historic Summerville, the Limehouse Plan is also environmentally-sensitive, featuring a pattern of interconnected streets that have been carefully configured to complement the site’s topography and natural features. 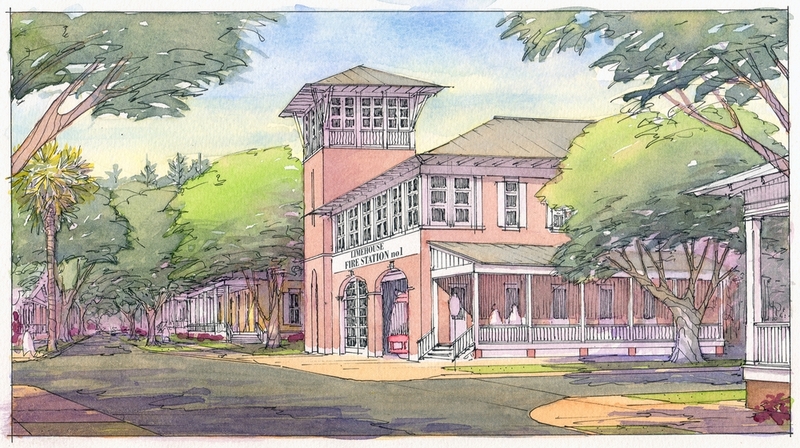 Dover, Kohl & Partners collaborated with Sottile & Sottile, Zimmerman/Volk Associates, and TND Engineering in the creation of this plan.